The Vitawomenz Starter Pack will provide the daily nutritional needs to support female health from pre-conception right through to the end of your pregnancy. 4 months supply of Vitawomenz, supporting female and baby health, from pre-conception right through until the end of your pregnancy. You will receive 2 bottles, containing 60 tablets per bottle. We recommend you take 1 x tablet per day with food or as directed by your medical professional. Price is in New Zealand Dollars. The Vitawomenz Top Up Pack will continue to provide you with daily nutritional needs to support your health right through to the end of your pregnancy. 2 months supply of Vitawomenz, supporting female and baby health, from pre-conception right through until the end of your pregnancy. You will receive 1 bottle, containing 60 tablets. The Fertility Health Starter Combo Pack is the ultimate family support package, supporting both male and female fertility from pre-conception right through to the end of your pregnancy. 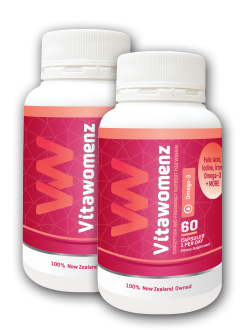 3 months supply of Vitamenz and 4 months supply of Vitawomenz, supporting both male and female fertility from pre-conception right through to the end of your pregnancy. 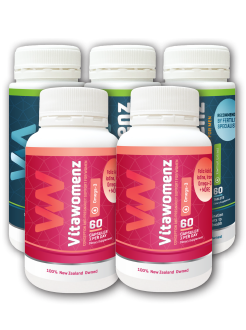 You will receive 3 bottles of Vitamenz, containing 60 tablets per bottle and 2 bottles of Vitawomenz, containing 60 tablets per bottle..
We recommend you take 2 x Vitamenz tablets per day with food or 1 Vitawomenz tablet per day with food, or as directed by your medical professional. The Fertility Health Top Up Combo Pack will continue to keep supporting both male and female fertility from your pre-conception stages right through to the end of your pregnancy. 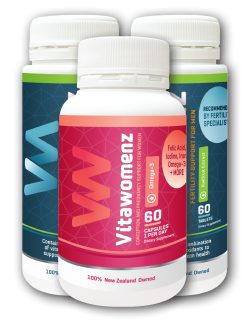 2 months supply of Vitamenz and 2 months supply of Vitawomenz, supporting both male and female fertility from pre-conception right through to the end of your pregnancy. 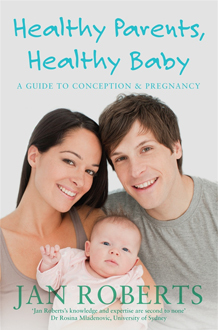 You will receive 2 bottles of Vitamenz, containing 60 tablets per bottle and 1 bottle of Vitawomenz, containing 60 tablets per bottle..
Take the first positive steps to optimal fertility and a beautiful bright, happy, healthy baby with Fertility Health and Jan Roberts' Healthy Parents, Healthy Baby. Thanks to a cocktail of 21st century lifestyle factors, infertility now affects one couple in four. But there's good news, make changes to your diet, your lifestyle and your environment, supplement with a robust combination of nutritional factors, make the four months immediately preceding conception as healthy as they can possibly be, and improve every aspect of reproductive health.